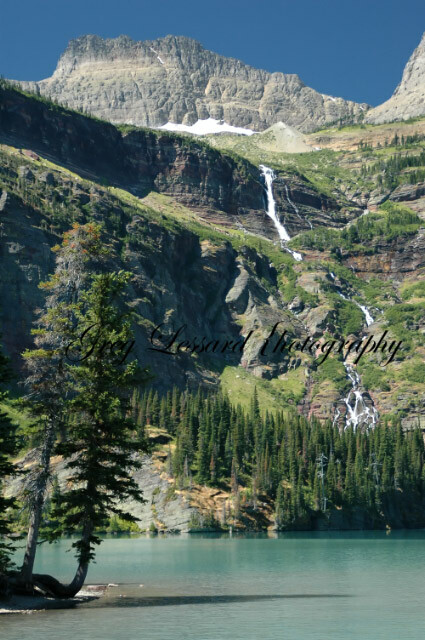 Only 2 spots left on the photography tour to Glacier National Park!! There are only 2 spots left on the Mass Audubon Photography Tour of Glacier National Park! I will be co-leading this trip with naturalist, author and historian John Galluzzo. Glacier National Park is known as the crown jewel of the national park system. From majestic mountains to alpine lakes and waterfalls, we will see and photograph the best of what Glacier has to offer. The modest trip fee of $1575 includes lodging, ground transportation and photography instruction. 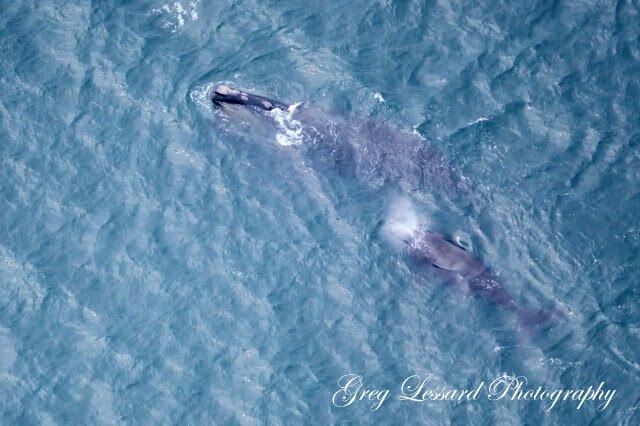 For more info, visit my website at http://greglessardphotography.com/-/greglessardphotography/wildcard2.asp or call Mass Audubon at 781 837 9400. Photographing waterfalls may be the most satisfying experience in nature photography. Photography is essentially about capturing time. Most photos capture a split second in time. The camera shutter opens and closes within the blink of an eye. Making an image of a waterfall is a different experience altogether. My favorite technique for photographing waterfalls is to make a long exposure and let the water flow through the image. This creates a silky smooth effect, while capturing longer moments of time. Any exposure from 1/8 second or longer will create this effect. Using your camera’s manual setting and a tripod are necessities. Set the f stop as high as possible and set the shutter speed for the correct exposure. 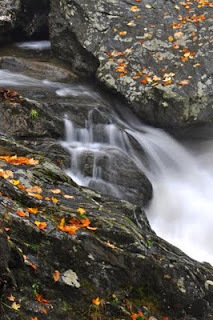 The rushing water creates enough sound that every day life can be washed away in the rushing torrent. Time simply passes away as the water rushes down stream. Hours seem to pass like minutes while a connection with nature is re-established. Often, my inner self will “awaken” as I finish photographing. I had been in another place at least for a little while. Last fall I spent a morning photographing Bash Bish Falls in western Massachusetts. 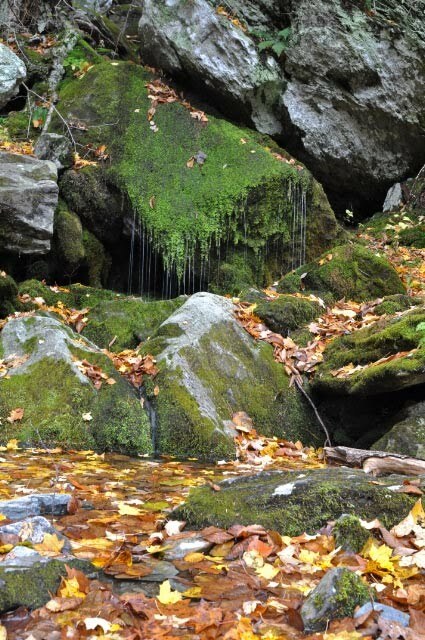 These beautiful falls are the tallest in Massachusetts, measuring over 60 feet. They are classic icons of the Berkshires and have been the subject of numerous artists since the 1800’s. Making a new and interesting composition is very challenging, but the effort is well worth it. 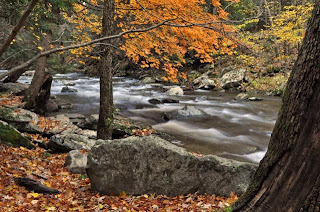 On the day I visited Bash Bish falls, the autumn leaves were past peak, but a few maple trees tenaciously held onto their yellow leaves. Other trees had conveniently dropped all of their leaves on the rocks in and around the river. The contrast of the yellow leaves against the grey granite rocks made for a very interesting foreground. 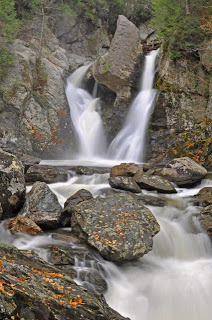 Be careful when visiting Bash Bish Falls. They were recently ranked by AOL as one of the most dangerous destinations in America! Climbing on the rocks around the falls can be treacherous. Be especially vigilant on the dangerous cliff side trail that leads to the falls. 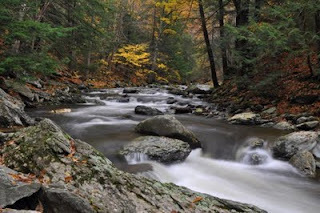 For an easier, much safer hike, park in nearby Taconic State Park in New York. 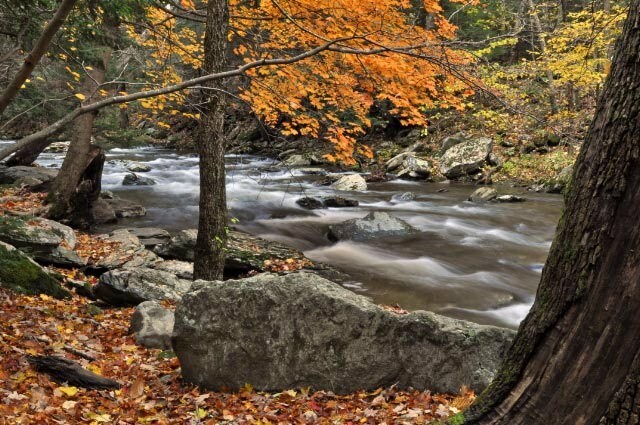 The state of New York maintains a beautiful trail that follows the river for approximately 1 mile to the falls. This Month’s Tip: When photographing waterfalls don’t be afraid to get in the water. Standing in the water creates an interesting perspective. It also allows you to more fully connect with your subject, Mother Nature. Be wise when wading in the water. Make sure that the current is not too powerful and that the water is not too deep. At a recent workshop, renowned photographer Tony Sweet suggested wearing waders and testing the water without your camera first. Once you have established a safe location for shooting, go back and get your camera. This will save you and your camera from getting in over your head! Cape Cod National Seashore is one of New England’s most beautiful landscapes. Miles of sandy beaches make it a top summer tourist destination. This popularity makes finding a picturesque stretch of coastline without someone running through your shot, quite a challenge. However, if you visit during a “cold” weather month like March or April, it is quite possible that you will have mile after mile of this sandy paradise all to yourself. Start at the Salt Pond Visitor Center in Eastham and get oriented with the nearly 45,000 acres of beaches, salt marshes and sand dunes that Cape Cod has to offer. The rangers at the visitor center can supply a photographer with invaluable information. Afterwards head down Ocean Drive and visit Coast Guard or Nauset Light Beach. Photographing at the beach offers a variety of opportunities. Crashing waves, seashells, sand patterns, and sand dunes are some of the most readily available options. Be careful of where you walk and try not to step on fragile vegetation. Anticipate where your next shot will be to avoid stepping in the sand near your subject. For interesting water shots, leave your shutter open for ten seconds or longer. The crashing waves will blur, creating an ethereal effect. Make sure to use a tripod and try to include interesting non-moveable objects, like rocks or lobster traps, to anchor your image. Seashells offer many interesting opportunities. Try experimenting with many different angles and f stops. Use the color, shape and texture of the shell to contrast against the sand. Bright sunlight shining through the shell can highlight the colors and add an interesting perspective to your image. Don’t be afraid to lie in the sand to get an up close and unique perspective. If visiting the beach on a cold day doesn’t appeal to you, you can still avoid the crowds by getting an early start on a summer’s day. Some of the best light of the day happens before dawn. The pre-dawn sky often provides tremendous color. Photographing the rising sun is a truly fantastic experience that everyone should have at least once. Take care not to stare directly at the sun. Especially not through a camera lens that can magnify the strength of already powerful sunlight. After sunrise, try turning your back to the sun to take advantage of the soft light that it plays upon the land. Early morning is considered to be a magic hour for photographers. The warm golden light adds fantastic color and contrast to your images. The best part is that you will likely be on your own to commune with nature. My dad is an avid train fan. On a recent trip to Vermont, we combined his love for trains with my joy of photography. 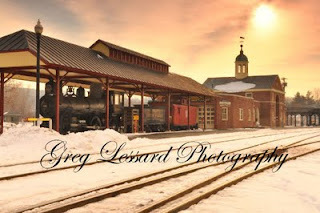 Staying near Randolph, Vt., we had the opportunity to see the Amtrak Vermonter pull into the quaint old train station. This train uses two identical engines, one at the front and one at the back. With some careful planning, we found a location where I could make images of the train as it approached us and as it past us. In each image, because of the identical engines, the train looks like it is approaching the viewer. Approximately eight hours later, the train that we photographed arrived in Washington D.C. In a day of cars, jumbo jets, and cruise ships, trains seem to be the forgotten cousin of the travel industry. Yet, for many, they still hold a certain mystique that is irresistible. Maybe it’s the sounds of the clacking wheels or the conductor shouting “All Aboard”. It might be the blur of colors as a train whistles by or maybe it’s just the fleeting daydream of traveling on the train to an unknown destination. Whatever the attraction, trains are still fascinating people in the 21st century! On our train inspired journey, we were able to take the Green Mountain Flyer from Bellows Falls to Chester Depot, VT. This train ride passes a beautiful waterfall, gorge, and two covered bridges on its way to the tiny village of Chester. The track runs through the mountains and hardwood forests of Vermont, making it a good option for fall foliage viewing. Chester, looks like the quintessential village from a child’s model railroad. While there, take a moment to wander around the rail yard and notice the old vine covered rail cars, the classic caboose and the historic village center. In the town of Barnet, in the Northeast Kingdom, we saw the most fascinating collection of trains. 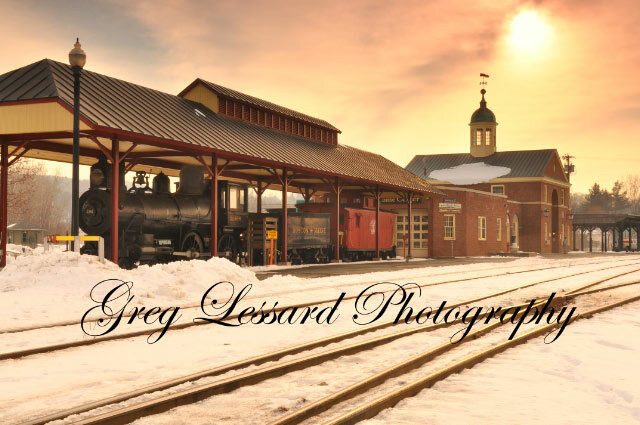 The Passumpsic Railroad is a private collection which includes the only running steam locomotive in Vermont! Passing by it on Route 5, our first impression was that we were looking at a train junkyard. There were many old cars and one ancient, rusting locomotive parked along the side of the road. After photographing the old locomotive, we introduced ourselves to the caretaker, who invited us to see the collection’s restored locomotive and photograph the rest of the property. By taking a moment to introduce ourselves we were allowed access to the ultimate “model” railroad collection. This month’s tip: Rather than performing the quick drive by shot, take a moment to introduce yourself to property owners. In most cases the property owners are excited that you think their home, barn, yard etc., is worthy of a photo. They will usually let you wander around to search for the best angle. Sometimes you might even find a better shot! 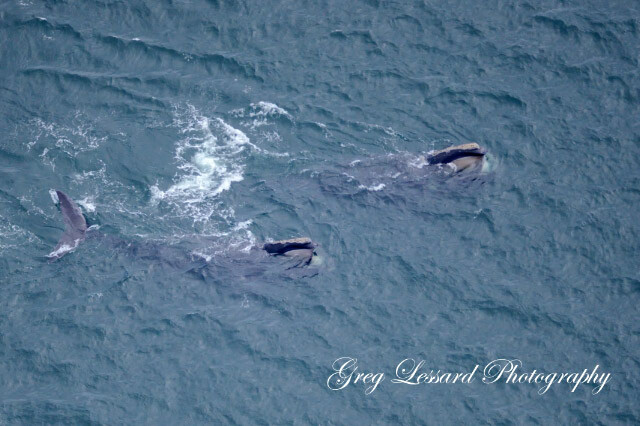 On Saturday, my dad and I chartered a plane to see the right whales that have been hanging around Cape Cod. We flew with Jeff Campbell from Plymouth Airport. I had never flown in a small plane before. It was a very enjoyable flight. I liked the Small plane better than the big commercial jets that I have flown on before. Once we reached Cape Cod, we spotted the whales immediately. 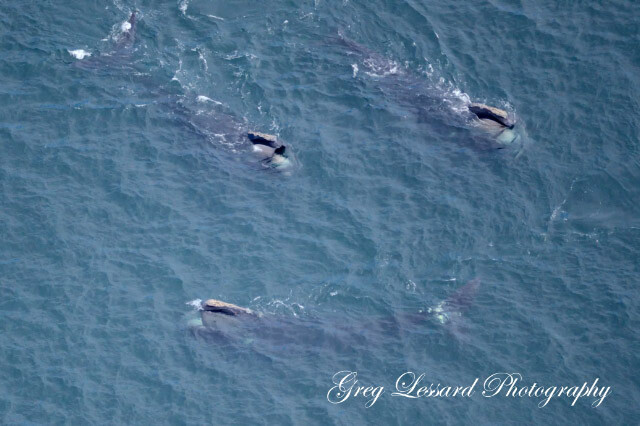 Most of them were within a mile of the shore near the mouth of Provincetown Harbor. My dad counted 17 of them at this location. We circled more than 1500 feet above them for six or seven passes. I used my Tamron 200-500mm telephoto lens on my Nikon D7000. With the crop factor of the D7000's small sensor, my lens was effectively functioning as a 750mm lens. Even though I was photographing an animal that is larger than a tractor trailer truck, I still had to crop my images to approximately 50%. My dad was absolutely thrilled. 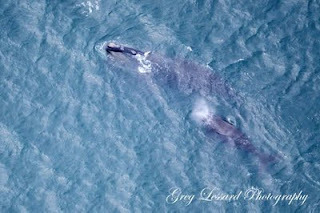 He had wanted to see the right whales for years now. We have made numerous attempts from land and sea, with no luck. This time, we could easily see many whales. Jeff and I were treated to my dad exclaiming "Wow!! Did you see that?!! ", approximately every thirty seconds, for at least half an hour. He was like a little kid watching his first firework show. I have never seen him that excited before! The right whale is an endangered species. There are only 400 or so in the entire world. The name "right" whale was given to them by whalers, because they are very large and spend most of their time near the surface, making them the right whale to kill. It is said that when the pilgrims arrived in 1620, that you could walk across Cape Cod Bay on the backs of the right and humpback whales that lived there. It is sad to see how much we have lost in such a relatively short time. Today, we are excited to spot approximately 20 of these magnificent creatures. 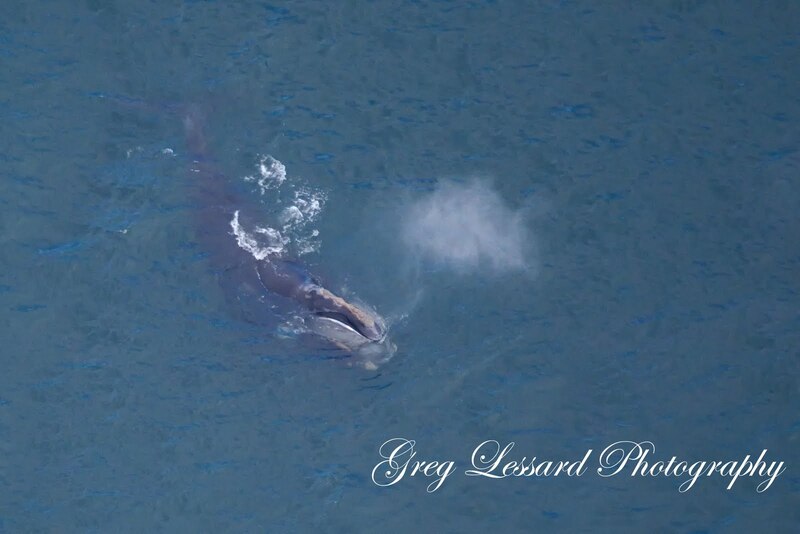 Fortunately, we also saw a mama whale with her calf. 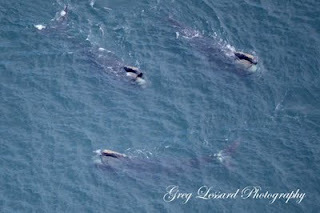 Hopefully, over time, these whales will be able to re-establish their population. After making numerous images of the whales and Cape Cod, we headed for home. On the way, we flew over downtown Plymouth and the Mayflower. I will be posting some of those images soon.